My name is Tasia Dockery and I am a cartoon addict. Cartoons relax me. I’m not sure why, but they do. One cartoon that I find myself watching continuously is “Spongebob Squarepants” (Only the first few seasons…the new episodes are not my cup of tea). One day while I was watching my beloved sponge, I began thinking about how I find similarities between myself and this cartoon character. Not only am I silly and enjoy the simple things in life (in college, I once spent a day packing up my apartment and began hiding out in a cardboard box fort I built in my room) but I feed off of other’s emotions. 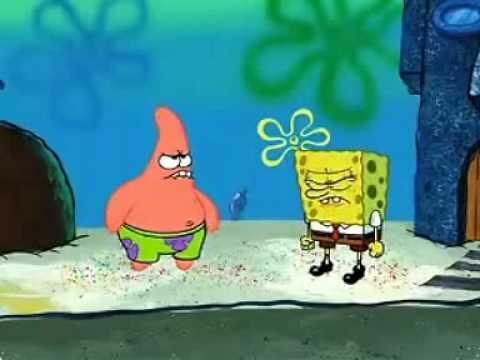 When Patrick is mad, Spongebob is mad. 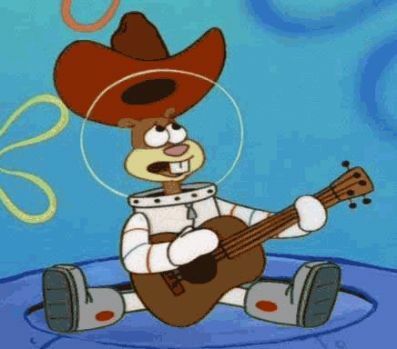 When Sandy Cheeks is sad, Spongebob is sad and so on and so forth. That is totally who I am! I am happy around happy people, sad around sad people, and anxious around stressed out people. I soak up the emotions of the people I am around, just like a sponge. But what does this have to do with music therapy? There is a phenomenon in our world called transference. Simply put, you transfer your emotions to other people. How does that tie in to a music therapy session? If I walk in to my session excited and full of energy, hopefully, my client will sense my energy and become very excited for music (if not already excited because let’s face it, music therapy rocks). However, what if I’m having a bad morning and I walk in to my session with a down-and-out perspective? Guess what? Our clients pick up on that and the session will not be beneficial to the client. Luckily, if you are a great music therapist you can put your personal life aside and make sure the client has the best therapy session despite what is going on outside of work. So what does this mean for you as a parent or caregiver? Take care of yourself emotionally too! A lot of our clients at The George Center have emotional disorders. Consider your emotions and if they are being transferred to your loved ones. Does this mean you are not allowed to be angry, sad, or even anxious? Of course not! It simply means you have an opportunity to aid in therapy outside of the clinic. Show your loved one how you appropriately manage your emotions. Those are just a few ways I deal with my “bad days”. Please remember to take care of yourself as a therapist, as a caregiver, and as an individual. So, from one sponge to another, be happy and be healthy. Interested in learning more about music therapy? Check out our free consultation offer! We'll help answer all your questions about music therapy, insurance coverage, and more!